If you are currently in the market to buy homeowner’s insurance, then you need to understand the basics before you sit down and talk to an insurance agent about buying a policy. Knowing what your policy will not cover as well as thinking about some of the fundamental questions you need to ask an insurer will ensure that you purchase a policy that will be valuable to you now as well as into the future. Usually, a homeowner’s policy will not cover damage from any acts of nature, such as a mudslide or earthquake. 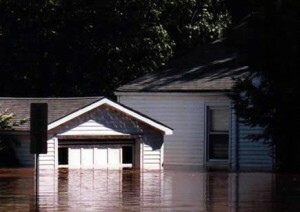 Flood damage is generally not included as well unless you have a specific policy for it. Therefore, make sure you ask your agent to explain the exclusions to you, or the items that are not covered by your policy. Since most homeowner’s policies do not cover flood or earthquake damage, in all likelihood, you will need to purchase separate policies for these types of catastrophes. •	Your home’s structure. Insurance costs are often lower on brick homes than they are on frame houses made of wood. •	The proximity of you house to the nearest fire department or fire hydrant. •	Whether or not you include auto coverage with your homeowner’s plan. •	The replacement cost. Remember, the replacement cost is not the same as the amount that you purchased your home for. It does not include the value of the land. •	Whether or not you own a pool. •	Whether or not you own potentially violent dogs. •	The age of your house. •	The number of smoke detectors you have in the house. •	Whether or not your home is equipped with a burglar alarm. All the above information is considered along with the amount of deductible you select to calculate the premium of your insurance policy. To obtain full benefits from the policy, make sure you keep an inventory of the items in your home as well as make a concerted effort to keep it well-maintained. As homeowner’s insurance does not cover the cost of repair, keeping your home in good condition can also save on additional costs. It is important to be insured as homeowner’s coverage gives you the necessary means in which to pay for any damages or injuries that occur on your property. Knowing the fundamentals of homeowner’s insurance coverage and making timely payments are essential in protecting the investment of your home. Thanks for the useful information. I’ve also seen people include the cost of land while giving an estimate of their house. This does nothing for their claim and only inflates the premium amount as typically in any calamity it’s the structure and not land that gets damaged. Previous post: Question From A Reader – Refinance A Home To Pay Taxes For A Roth IRA Conversion?